Ganryujima 6 [1.3] Martial Arts fight show opens the 2017 season on Tuesday, January 3 live on Fuji TV network in Tokyo, Japan. Ganryujima 1-3 saw the following collaboration of the international project by Sadaharu Tanikawa and the World Kickboxing Network. Leonardo Brama of Italy and Aditya Katkade of India represented the WKN Top Team. Jeet Kune Do specialist Brama earned the victory over MMA fighter out of Japan Kiyoshi Tamura. 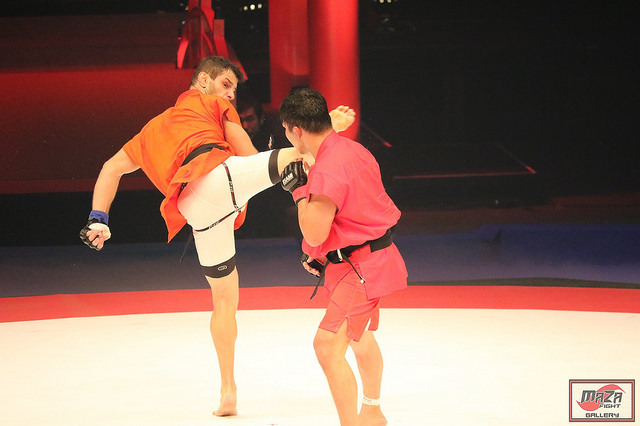 The 80kg bout went on distance with the guest from Italy taking a decision win. Kushti fighter out of India Aditya Katkade faced a defeat against Japanese kickboxer Hikaru Machida. The judges decision proclaimed local fighter as the winner of the 62kg contest. During the visit to Japan the WKN president Mr Cabrera had a meeting with the head of SEI-ZA, Mr YAMAGUCHI. Sei Za Girl’s Budo Entertainment sets its debut on Thursday, January 19, 2017 in Tokyo, Japan. The event will see Team Japan vs Team Greece.